People who know me know I have dogs that I show in conformation and (occasionally and not recently) in obedience. This seems to keep me busy enough but it also prompted my decision to start painting more dogs and selling prints. You can find those prints at the prints link. My current family population is shown here. Emma (ELF Ms. Emma Peel). This is the BEST one. 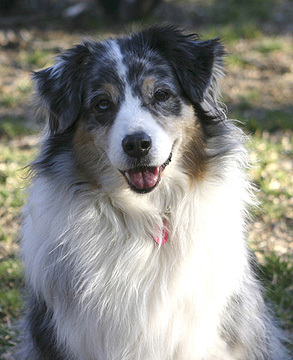 She came to me from Elf Lane Farms a few months after her late half-brother Bobby, came into my household as my first Australian shepherd. Emma is getting on in years, but she still participates in household activities and presides over things. She never needed titles for validation and so she simply supervised the training of others in the household. Flash (AKC/ASCA Ch. Foxtale's Something to Talk About . and bred a litter in 2001. Flash came to me at 6 months of age, all goofy and energetic. Still both these things, he manages the resident groundhog population (why they set up housekeeping within my fenced yard I'll never know) and appears to have mastered rabbits as well. I am considering working in competitive Obedience with him before he gets too old to jump. Will see how that develops! Haven't been in the Obedience ring since my late Poodle Ziggy was competing in the Open ring in 2002.
special her selectively in ASCA, and plan the next litter near the end of 2009. This is one athletic girl and I should work in agility with her but time and equipment and money restrictions limit the likelihood of this. Instead, she is starting to work a bit in Obedience. As with Flash, will see how far I can take it. This is the little dog of the household but he is all swagger and bluster. He is a young boy, very outgoing and great with people and (most) other dogs. 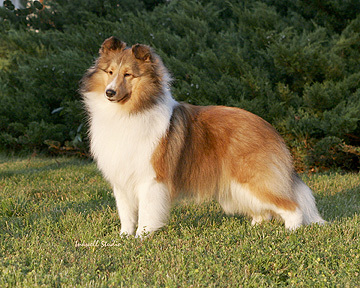 Encore came from Wendy Mount and Carolyn Vack, of Sunebank and Caerleon Shelties. 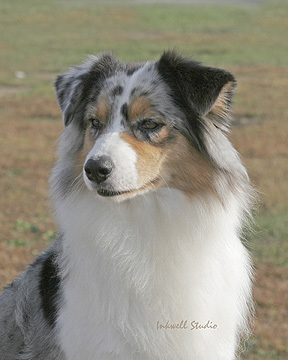 Encore won his 12-18 sable dog class at the Sheltie Nationals in Greeley Colorado in April, and currently is working on growing some adult coat before returning to the ring. He is coming along on his training as well and he too could end up in the Obedience ring in the future. 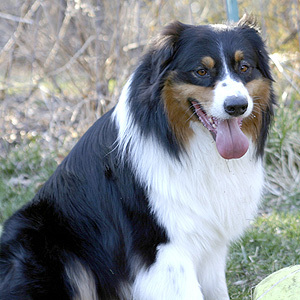 Bobby (ELF Presidential Prerogative CD) was Emma's half-brother and was my first Australian Shepherd and he was my Heart Dog. Bobby did a little conformation competition and then attained his Companion Dog (CDX) title after which he retired from the Obedience ring. 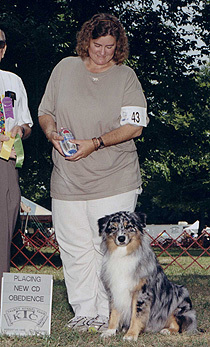 He was my first competition Obedience dog and was a true learning experience. I lost him at age 11 in November 2007. I still miss him every day. 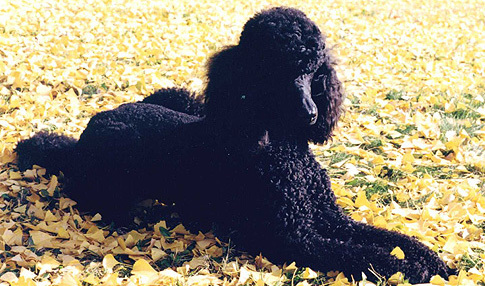 Ziggy (Maenells Ziggy M) was a black Standard Poodle and was originally my (late) mother's, who always wanted a Standard Poodle. We selected him together with an eye toward my eventually taking him through all levels of competitive Obedience. He and I got our CD the summer of 2004 but then life got in the way and after getting one leg towards his CDX I stopped competing with him. .He was smart and high-drive, a lot of fun to work with. In 2007 he had some squamous cell carcinomas of the toenail beds ('Poodle toe cancer') but appeared to recover well from the amputations of each of the 2 affected toes. He seemed well and happy and healthy but in early April this year (2008) he died suddenly and without warning, cause never determined. I miss him very much as well.